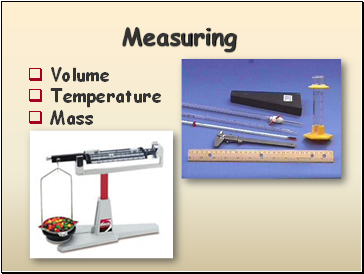 Always read volume from the bottom of the meniscus. 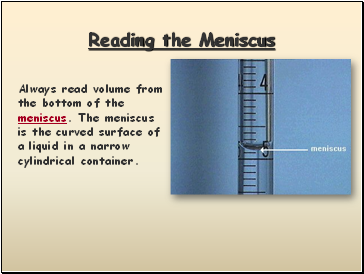 The meniscus is the curved surface of a liquid in a narrow cylindrical container. Try to avoid parallax errors. 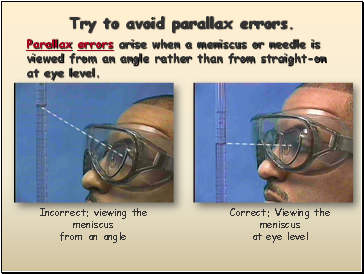 Parallax errors arise when a meniscus or needle is viewed from an angle rather than from straight-on at eye level. 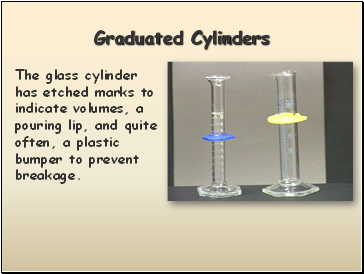 The glass cylinder has etched marks to indicate volumes, a pouring lip, and quite often, a plastic bumper to prevent breakage. 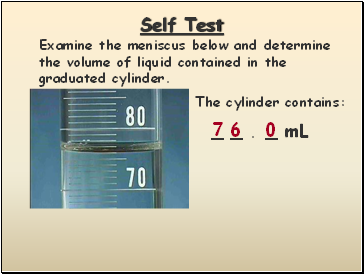 Determine the volume contained in a graduated cylinder by reading the bottom of the meniscus at eye level. 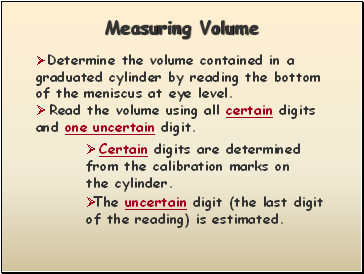 Read the volume using all certain digits and one uncertain digit. 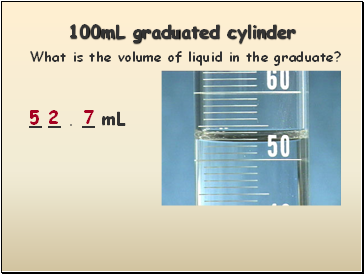 Certain digits are determined from the calibration marks on the cylinder. 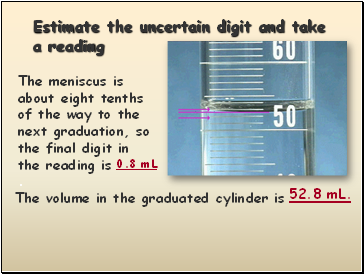 The uncertain digit (the last digit of the reading) is estimated. 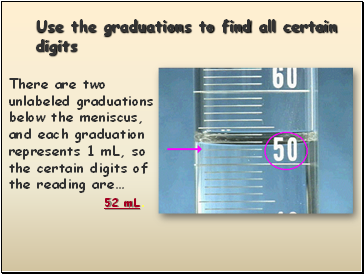 The meniscus is about eight tenths of the way to the next graduation, so the final digit in the reading is . 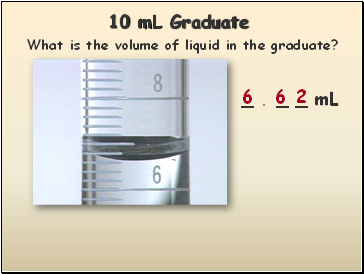 What is the volume of liquid in the graduate? 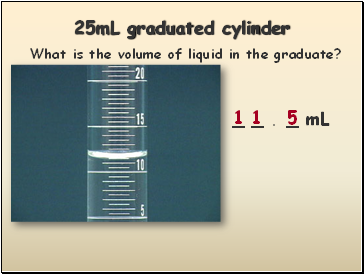 Examine the meniscus below and determine the volume of liquid contained in the graduated cylinder.